How much does radiant floor heating cost in a large bedroom? It’s the first thing you see in the morning and the last thing you see at night: your bedroom. Although hardwood floors look beautiful throughout a home, they can provide a cold start to your day when they’re located in your bedroom. However, there is a way to get the best of both worlds. By installing in-floor electric radiant heating, you can maintain the premium look of hardwood with added warmth that will keep you cozy day and night. This luxurious touch will be sure to please your feet, but you might be surprised to learn that it will please your bank account as well. So, let’s talk turkey. 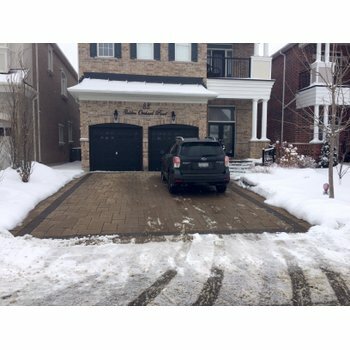 Exactly how much do heated floors cost? In the case of this particular bedroom project (see floorplan), WarmlyYours’ TempZone™ heated floors only cost $1,699 for a 15-foot by 16-foot room. That’s probably less than you spent on your bedroom set! Another surprising fact is that this entire room is covered by one 3-foot by 60-foot mat. The 240-volt TempZone™ Flex Roll emits 15 watts per square foot and uses 11.25 amps, ensuring that your room will be evenly covered in warmth. Of the total 240 square feet in the room, the roll covers 180 square feet because it excludes the space under the bed, so as not to trap any heat. At about $9 a square foot, this is an economical primary or supplementary heating source for any room. Once a thermostat is factored into this floorplan, the total cost of materials will still be under $2,000, because you can purchase one of WarmlyYours’ thermostats for under $200. 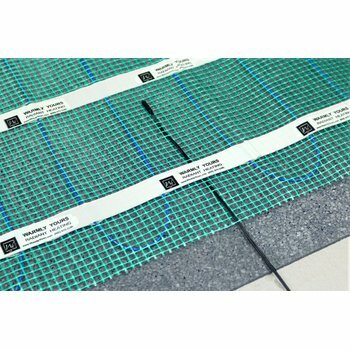 WarmlyYours makes installation of its in-floor heating products easy for anyone by providing custom floorplans also known as SmartPlans™ that walk you through installation. These floorplans are designed by our team of experienced engineers and incorporate all of the secrets learned from experienced installers in a format simple enough for first-time installers. In this particular example, you can see that the installation starts in the lower left corner. The shaded triangle symbol denotes where the project should start. Along these lines, the “T” symbol shows where the thermostat should be located, which you can see is near the shaded rectangle. The thermostat should always be located near the start of the project to accommodate the electrical wiring. You’ll also notice arrows on the floorplan. 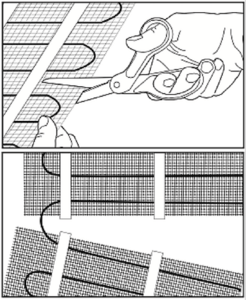 These arrows instruct you to cut the mesh and turn the mat when needed (see image). These directions will ensure that your TempZone cable always ends up where it needs to be in order to continue the installation. When you see the shaded square on your floorplan, that means you’ve reached the end. To visualize how much it would cost to install in-floor heating in one of your rooms, send us a floorplan! We’ll get back to you with a custom installation plan and a free quote the next day. Our plans ensure that our products cover as much of the square footage in your room as possible. They also offer a tool for our technical support team to reference if you run into any challenges during installation. 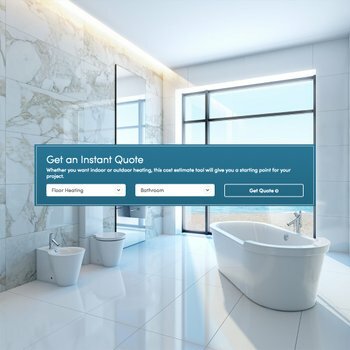 You can also use our “Get A Quote” tool online to instantly estimate how much it would cost to install an in-floor heating system in one of your rooms. Plus, if you’d like to determine whether or not you should be using in-floor heating as a primary or supplementary heating source, you can use our Heat Loss Calculator tool. All of these tools are here for you – free of cost – on www.warmlyyours.com. I'd like to get heated floors but I'm renting so, it I cannot renovate, plus, when I move, I can't take it with me.